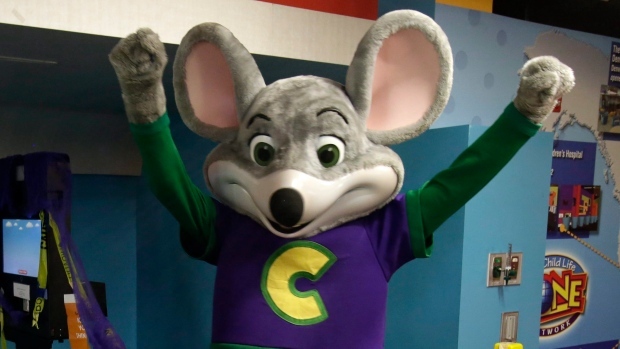 DEPTFORD, N.J. -- Authorities say a large brawl that spilled out of a Chuck E. Cheese restaurant in New Jersey left two people injured, including an employee who tried to break up the fight. Deptford police arrived at Sunday night to find a fight involving as many as 20 people. It's unclear what sparked the massive brawl at the family restaurant chain that provides entertainment largely targeted to children. A woman had a minor stab wound to the hip but declined medical treatment. The employee had a cut on his left hand. Two women from Philadelphia were taken into custody. Authorities say 47-year-old Tracy Jones faces aggravated assault charges, while 24-year-old Stephanie Levengood is charged with disorderly conduct and resisting arrest. It wasn't known Monday if either woman has retained an attorney.